An El Cajon police officer suffered apparently minor injuries Wednesday when a robbery suspect hit him with a hammer while trying to evade arrest, authorities reported. 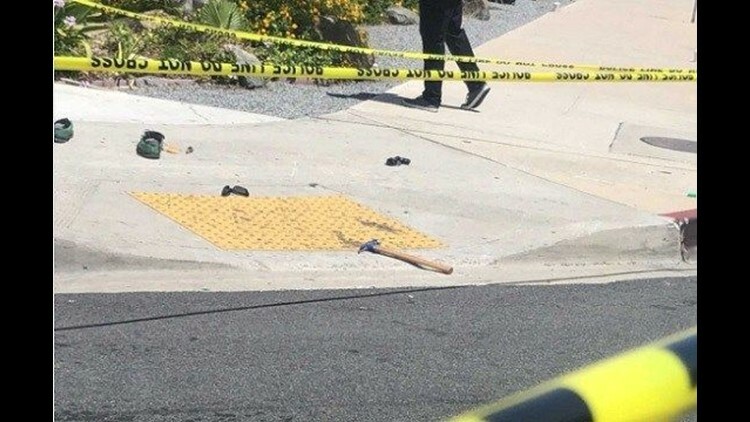 EL CAJON (CNS) - An El Cajon police officer suffered apparently minor injuries Wednesday when a robbery suspect hit him with a hammer while trying to evade arrest, authorities reported. The assault on the lawman occurred about 11:30 a.m., following an ineffective attempt to subdue the fleeing suspect with an electric stun gun in the area of Van Houten and West Douglas avenues, according to police. The alleged assailant, who allegedly tried to rob an armored car and smashed windows at a fast-food restaurant in the area a short time earlier, was eventually taken into custody with help from a bystander. The arrestee's name was not immediately available. The officer injured during the fracas was treated for head trauma at a hospital and then released, according to police.